Age old rivalry that exists between two sects of a village. How does love and peace change attitude of ruthless factionists? A misplaced phone call connects two lonely people. However, when it's time to match faces to voices, both parties send younger representatives. Nenapirali is a 2005 Indian Kannada language film directed by Ratnaja. It stars Prem Kumar, Vidhya Venkatesh, and Varsha in the lead roles. The film was a blockbuster and won many FilmFare Awards. The story is of a car salesman (Sharan) who does not work in a showroom but unscrupulously forces owners to sell their vehicles. He never owns a car himself but he lands himself in trouble over the car deals. 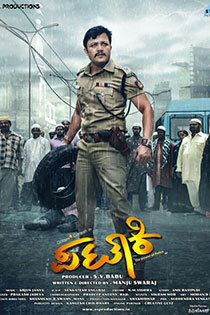 Surya, a corrupt IPS officer abuses his power and resorts to illegal means to gain monetary benefits. He also joins hands with a local MP named Rudra Pratap, which infuriates Agni, the DGP of Karnataka. Remake of Telugu Move Pataas.